I rarely get out to the movie theater, but managed it this week. This particular theater was newly renovated to feature big clean aisles and large comfy recliners. Having grown up in the era when beautiful old theaters were getting chopped up into cold, sticky-floored multiplexes with a distinctly garage-like vibe, I have to say I like the new decor. I did not like the previews. And there were tons of them. Preview after preview after preview. I used to love movie trailers, but every single preview we saw was exceedingly loud and exceedingly violent, with someone getting brutally attacked in every one. Sitting there began to feel like being assaulted. "This is why I don't go to the movies anymore," I thought. I don't know why we had such violent previews, since the movie we had come to see (The Big Short) was not violent. Maybe most movies are just like that now. Anyway, once the beatings and shootings (and a bear attack) were over, we got to watch mayhem of a different sort: bloodless, cerebral, global. The Big Short follows the adventures of the money men who foresaw, and cashed in on, the 2008 housing-market debacle. As a writer, I was fascinated by the line the filmmakers had to walk. Normally, in a movie like this where the main characters are taking huge risks in the face of a lot of naysaying, you root for the main characters. But in this case, rooting for the main characters meant rooting for the collapse of the housing market and the economy. It meant hoping for a disaster that caused much suffering in real life, suffering that many in the audience have endured. At least the movie acknowledges this: even the characters who profited were squeamish about it. What keeps us from hating them is that the people they were betting against were so much worse: creating and propping up a set of appalling deceptions, careless and heedless of where it was all leading, and smug in their belief that the glory days could last forever. Another challenge the filmmakers had was creating suspense in a situation where we all know how it turned out; we all know what happened. In this case, the suspense was in not being entirely sure which of the characters would come out all right, or when, or how. It was in trying to understand how this fiasco could happen in the first place. And that leads to another difficulty: explaining complicated financial deals to a general audience. Here, the movie uses an interesting device that could have backfired (it could've turned out condescending, or boring), but really seemed to work: having celebrities explain complicated financial concepts with simple, concrete analogies. Anthony Bourdain, for example, compared the repackaging of bad debts to a chef tossing leftover halibut into a fish stew: take your less-than-attractive product and put it in a pretty new vehicle. These explanations were also used very sparingly, just a few times, and exactly at the right places. So, IMHO, it mostly worked (although having Margot Robbie in a bubble bath while she explained her bit was a little too gratuitously cheesecakey for my tastes). I have always been partial to anatomy-of-a-meltdown movies (quite literally, in the case of The China Syndrome), so maybe this was just my kind of movie. But with its dark humor and extreme relevance--economic bubbles seeming destined to recur--it may be many people's kind of movie. I hope so. Aside from the subject of the movie itself, I also liked watching it as a writer, and seeing how the filmmakers turned this unlikely subject and unlikely group of characters into something eminently watchable. Over at YA Outside the Lines, I posted about the time, and patience, it takes to get a novel right. A sample: "It takes a long time to write a novel, time during which my daily progress is barely measurable. Some days, all I do is delete. Some days, all I do is think." "I always forget how important the empty days are, how important it may be sometimes not to expect to produce anything .... I am still pursued by a neurosis about work .... A day where one has not pushed oneself to the limit seems a damaged damaging day, a sinful day. Not so! The most valuable thing we can do for the psyche, occasionally, is to let it rest, wander, live in the changing light of a room, not try to be or do anything whatever." Nathan Bransford is doing his annual fundraising blog challenge for Heifer International. If you leave a comment at his blog, he'll donate $2. If you tweet about the donation challenge including the hashtag #NBHeifer and the link http://bit.ly/1MpYxaJ that's also $2. If you're moved to donate (as I will be doing) or start a blog challenge yourself, so much the better! But even if you can't afford a donation, you can help just with a few clicks, as described above. Please spread the word, and happy holidays! I said I couldn't do a "best books of 2015" post, but I thought I'd share a few of my memorable reads from this year. Note that these are books I read in 2015; most of them were not published in 2015. I'm lucky if I can get to a book within a decade of its publication. The Unspeakable, by Meghan Daum. The Folded Clock, by Heidi Julavits. Kensington Homestead, by Nic Esposito. These three memoirs/essay collections cover a variety of topics. Daum and Julavits cast wide nets, discussing various aspects of their lives. Esposito focuses on the challenges and rewards of running a farm in the middle of a city. I particularly like the way Julavits handled time in her book: the pieces are not arranged chronologically (they jump back and forth in time), but they are meant to be read in the order in which they are presented. 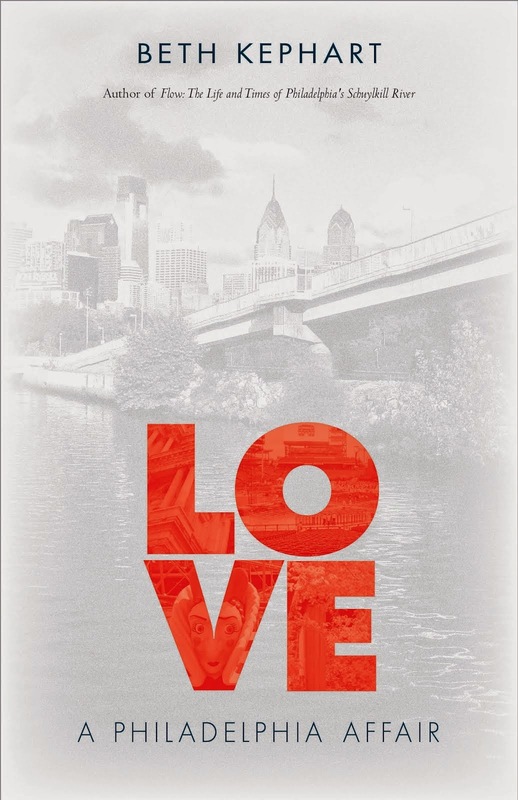 Love: A Philadelphia Affair, by Beth Kephart. Let's Take the Long Way Home, by Gail Caldwell. Kephart presents short pieces on Philadelphia; even if you don't know Philadelphia, you can appreciate these slices of urban life. Caldwell's account of her friendship with writer Caroline Knapp covers so much territory: friendship; solitude and introversion; rowing; the bonds people make with pets; alcoholism; loss. (Be warned: Caldwell's book was also one of the few books that has ever made me cry.) Shapiro pursues the spiritual while touching also on family ties, on what it means to be a parent and a daughter. Can't We Talk About Something More Pleasant? by Roz Chast. Trespassing on Einstein's Lawn, by Amanda Gefter. Speaking of parents: they figure prominently in Chast's graphic (i.e., illustrated) memoir on dealing with her parents' end-of-life issues, and Gefter's search for, oh, nothing more than the key to the Universe (a search sparked by, and shared with, her father). Both books are funny while dealing with extremely serious issues. Gefter's book came closer than any other book ever has to explaining physics and cosmology at a level I could (mostly) grasp. Men Explain Things to Me, by Rebecca Solnit. These books deserve to be in the canon of feminist literature, and I suspect they are or soon will be. Gay's book covers a wider range of topics. Recommended for anyone who wonders why feminism, or why we needed a Third Wave, or for anyone who already knows but wants like-minded company and a view of what's next. This One Summer, by Mariko Tamaki and Jillian Tamaki. Backlash, by Sarah Darer Littman. Prisoner B-3087, by Alan Gratz, based on the story by Ruth and Jack Gruener. Backlash is a YA novel, a fast and compelling read, about bullying in the online era. The inciting event--a miscommunication--was so realistic, as was the non-sugary but satisfying ending. Littman explores some very nasty goings-on from multiple points of view, making it easier to understand the characters' motives even when we find them appalling. The other two are more "tween" books, This One Summer a stunning graphic novel about family, loss, and growing up; Prisoner B-3087 based on the true story of a teen who survived ten concentration camps in World War II. Five Days at Memorial, by Sheri Fink. The Crazy Iris, ed. by Kenzaburo Oe. The Shelf: Adventures in Extreme Reading, by Phyllis Rose. Fink's account of a New Orleans hospital during the aftermath of Hurricane Katrina has stayed with me, as have the stories in The Crazy Iris (about the aftermath of nuclear bombings). Both are emotionally tough but rewarding and thought-provoking. And on the lighter side, Rose's account of reading through a shelf of library books is likely to delight any big reader or book lover. Disclosure: Beth Kephart is a friend, and I've had friendly conversations with Sarah Darer Littman. Nic Esposito's press published one of my short stories. Nevertheless, my recommendations here are based purely on my views as a reader. All books listed here, I either bought or checked out of the library. Similarly, I'm almost finished reading a memoir in which alcohol hijacks the main thread of the story. The author is trying to tell me one story, to share one set of insights about his life, and yet I'm being distracted by the huge role that drunkenness plays in the events. And it's frustrating that, for all the soul-searching and life-interpreting the author does, he only grazes the surface of the alcohol topic. In this book, drinking is like a Chekhovian gun that is never fired: present throughout, but never examined. I don't mean that, in this case, the author must run to an AA meeting and tell us all about it. I mean that since drinking plays such a huge part in his story, it should be dissected with the same care as the memoir's other main threads--no matter what he concludes about it, or even if he concludes he's not ready to conclude anything yet. That territory should be explored. One of the difficulties of the memoir and the personal essay is that we don't always see ourselves the way others see us; we're not always ready to face or acknowledge the elephant in the room. I can empathize with these writers as people, but as a reader engaging with their work, I want more. I was trying to remember if celebrity-authored picture books were A Thing yet when I was growing up. I don't think so; I can't recall any celebrity children's books back then. I would've found it odd to link authorship with a recognizable celebrity, since I'm not sure I even thought of authors as contemporary people. Fairy tales and myths and Aesop's fables seemed to be stories repeated for generations, with no single recognizable author. They just sort of materialized. And I viewed most books for children similarly: Make Way for Ducklings and Charlotte's Web and Alice's Adventures in Wonderland and Through the Looking-Glass also seemed to have always existed. I was aware that some books had authors' names on them, but those authors didn't seem like real people. "Dr. Seuss" sounded like a made-up character (and indeed, it was a pseudonym); I had never heard of such a name as "Roald" (Dahl) before (and neither had my classmates, which was why they persisted in calling him "Ronald"). E.B. White hid behind those mysterious initials. Louisa May Alcott and Mark Twain (another pseudonym!) and L. M. Montgomery were more accessible--their works carried more than a whiff of autobiography--but still, they had lived a long time ago, way back in olden times. Once Upon a Time. As I got older, I became aware that authors were real people, many of whom were even still alive. And yet, they didn't seem like people you could run into at the grocery store or the bus stop. If pressed to imagine where they lived, I might have guessed they all lived up on a special mountain somewhere, or in cabins out in the woods. Well, maybe not Judy Blume--the suburban setting of Are You There God? It's Me, Margaret was so familiar she might have been living in my own neighborhood. Except I was pretty sure she wasn't, because again, authors didn't live among boring people like me. To me, authors were celebrities in their own right. They didn't usually appear on TV, but their names were IN PRINT. On shelves in public places such as LIBRARIES and BOOKSTORES. What more proof of fame could one need? Of course, now that I am an author, all of this is hilarious to me. I am not remote or legendary, and I don't even get to spend most of my day writing. With authors on social media and doing school visits nowadays, I doubt that children today think of authors as distant and mysterious, the way I once did. That's okay. But my old imaginings are good for a chuckle! In writing, some of us outline extensively and some of us wing it. In life, some of us plan and others are more spontaneous. But in either case, it's always good to allow room for surprises. For the unexpected twist, the unforeseen opportunity. Because you never know. For a long time now, I haven't made a big deal about the turn of the year. January 1 never brought many changes, and I didn't want to add resolutions to my overcrowded schedule. For several years, my only resolution was to try to do less, to slow down, in the new year. 2015 has been a year of changes--to be honest, most of them unwelcome. It's been a year of letting go of many things, including expectations. But the upside of that is that there's now room for new things in my life. I'm thinking about 2016, about writing goals and personal goals. Not in a to-do list way, not in a way that will instantly fill my schedule back up. I'm thinking about what else I'll be letting go of, and what new things I'll be trying. I'm checking my priorities. Mostly, I just want to face 2016 with a spirit of openness, willingness. I don't want to plan everything out now; I just want to be available for opportunities as they come. I want to continue to make room for what matters most. "I look out at trees leafless now except for one maple, where high up against the blue there is still branch after branch of translucent warm gold. The leaves sift down one by one like notes in music." Once you start writing for publication, an expectation and a pressure can develop, to find a market for everything you write. (This is obviously and especially true if writing becomes your main source of income.) This expectation and pressure can be invigorating. I know that I found it inspiring when I got my first book contract. I was extra motivated by the increased certainty of an audience. At other times, the expectations of an audience--whether a real or hypothetical audience--can interfere with the process, tilting a writer away from the story she's telling and toward approval seeking, second-guessing, belittling. Lately, I've found it useful to pursue separate categories of projects: some intended for publication, others just for me. With the latter, I don't have to please anyone but myself. I don't have to be perfect, or even finish. I can try anything, explore anything. It's utter freedom, and reminds me why I write in the first place. We all need sources of comfort, ways to refill the well. Creating is an act of affirmation; it takes energy, belief, a sort of optimism. Speaking up takes energy, especially when it takes so much for a single voice to be heard in this large world. That energy needs replenishment. What is the wellspring you draw on? From where do you draw your strength? Right about now, Bardcat's post, of William Cullen Bryant's poem, "Autumn," seems perfect. Bardcat couples this poem for the "last long weekend in November" with a stunning photo that vividly captures the way late November looks here in the northeastern US. I love this whole weekend: the peace and quiet, the drawing in, the last flares of bright beauty in the trees, the start of the holiday season. Today was my day to post at YA Outside the Lines, where I discussed armchair adventuring, books, survival, and basic gratitude. A sample: "Now I am trudging and paddling through a frigid wilderness, but I can shut Albanov’s book any time I want and raid a well-stocked refrigerator." I'll admit 2015 hasn't been my favorite year. It's been full of challenges, several of which I'm still trying to figure out how to meet. But I am also lucky, and there's plenty for which I'm grateful, and this is a good week for me to remember that. Tomorrow is the ultimate Thankful Thursday. Wishing you a happy one, with many blessings to count. Many of us go through times where we've had to step back from writing. Maybe life interfered. Maybe the well ran dry. Maybe we had to abandon a project and didn't know where to go next. Maybe we got restless. Whatever the reason, it's sometimes daunting to step back into writing. It's like resuming physical exercise after some time away. We may need to warm up to it, especially if we're still feeling uncertain about where our writing will go next. At such times, I like to try short pieces, exercises, and new genres. I reread old work, especially half-formed ideas and half-finished projects, to see if any embers there ignite. I start and stop. I try not to expect too much or be too hard on myself. I let the process catch me in its rhythm again. I remind myself of how much always ends up on the cutting-room floor. I keep an open mind, so as not to close out any options too soon. I'm currently reading Amanda Gefter's Trespassing on Einstein's Lawn: A father, a daughter, the meaning of nothing, and the beginning of everything. First observation: Holy cow, book subtitles are getting LONG. These questions, these issues, have long interested me, but delving more than an inch deep into them requires one to tangle with physics, my least favorite of the sciences. In physics, things get weird: counterintuitive, complicated, difficult to imagine or even approach. We have to deal with all sorts of forces and objects we've never seen with our own eyes: quarks, gluons, and so forth. We are trying to understand everything, and nothing, and how everything came from nothing (or did it?). It feels like a good time to grapple with such big, universal (in more ways than one) ideas. Today I had the privilege of taking a memoir-writing workshop taught by Beth Kephart, author of Handling the Truth (among other books). We wrote and listened and talked and laughed. The scenes we explored covered the spectrum from funny to sad, from joyous celebrations to unimaginable losses. Beth's own work is precisely rendered, every word chosen deliberately; her standards are high. Yet as a teacher she is generous and supportive, encouraging, seeking only to make room for each student to find his or her own voice. It was a good day for the quiet, the listening, the attention to detail, that a writing workshop requires. Memoir is not just a turning inward, Beth says; it is also about paying attention to others, to the world around us. It's about using our own experiences to pursue larger themes. It's not about telling the reader what we've discovered, but letting the reader discover it with us. These are points about which I want to think more deeply; they can even apply to fiction. Beth is also working to develop a "traveling workshop" on memoir; see here if interested. 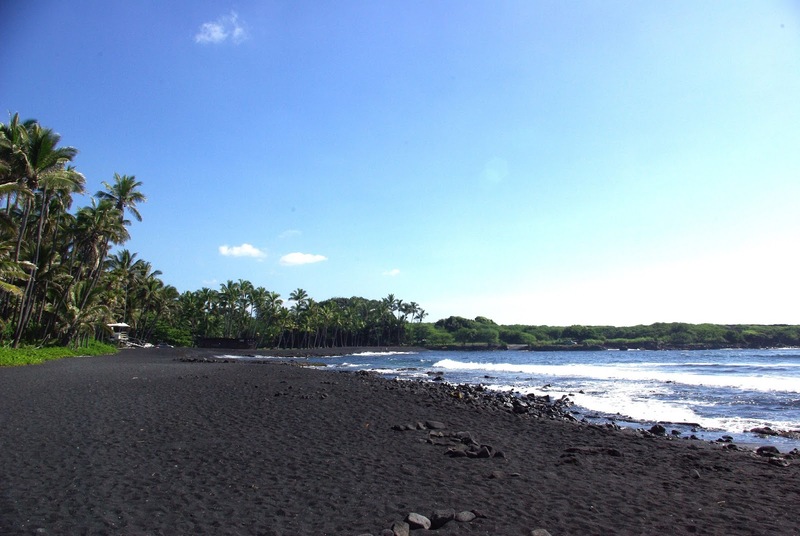 In fiction, holidays offer opportunities for both character and plot development. I use a calendar as I write, to keep track of how many days have gone by in the characters' lives, when the weekends should come, when the seasons must change, etc. 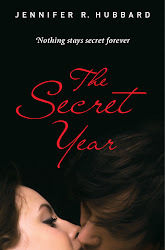 When I was writing The Secret Year, I realized at one point in the story that Thanksgiving was coming up. I'd already established that the main character had an older brother in college. It made sense that the brother would come home for Thanksgiving. The brother's visit enabled me to explore a character who had been, until then, offstage. I asked myself all sorts of questions: Who was he, how did he fit into the family, how did his story relate to the main character's? This new person in the story enabled us to see sides of all the other characters that we hadn't seen yet. But the holiday itself, Thanksgiving, also played a role. In the US, we have expectations of Thanksgiving: an image of family and togetherness and bountiful food and special traditions. For many families, the reality doesn't always live up to the ideal, and in that difference between expectation and reality, there is room for a story to grow. There is also room for story in the mere fact that many people (who often know one another well, flaws and all, and who have strong emotions about one another) gather in a small space. When you gather your characters' families together, add traditions and memories and hopes and histories, what do they say to one another? I think my brain is full. I just found a note I wrote to myself yesterday, and I cannot figure out what it means. Often it only takes a few words to jog my memory, but sometimes it comes to this: I have absolutely no idea what my note means. Either my notes to myself will have to start getting more elaborate, or I will have to accept the fact that most of these brain flashes that I simply HAVE to write down are not that great after all. Or else I'd remember them. I guess I could use these cryptic phrases as writing prompts. I won't be writing about my original idea, but I'll be writing about something. I have said that being a writer requires patience and persistence. It also requires the ability to tolerate imperfection. I'm honored to be featured on Jody Casella's blog today, talking about my latest book. A sample from the post: "I found that the most difficult part of being an author was not creating stories, difficult as that was. It was staying emotionally grounded. It was having the self-confidence to keep writing." And I'm honored that this book is featured in the SCBWI Bulletin, courtesy of Cynthia (of the blog "Read is the New Black"), who reviewed Loner in the Garret. It's especially nice because Loner in the Garret is about finding emotional support in this solitary pursuit called writing, and in the fickle business of publishing. This book was based on the kinds of encouraging messages I exchange with writer friends. I'm lucky to have this community. Speaking of community: if you're anywhere near Haverford, PA, then stop by the Author/Illustrator Night at Children's Book World (17 Haverford Station Road) on Friday, November 6, at 8 PM. There will be more than two dozen writers and illustrators, mingling with readers in a friendly, relaxed atmosphere. Routine is typically a writer's friend. It keeps us on track. Once we make the initial decisions about writing time and place and process, more of our mental energy is free to work on story. We don't have to start from scratch every day. But habits can become stale. Creativity also needs fresh breezes, new ideas, new ways of thinking and seeing. Sometimes it's good to shake up a routine. It can be as simple as moving the desk or changing the screen saver on the computer. It can involve changing the time of day, or switching from keyboard to handwritten composition. Or it can be a major change: of genre, voice, style. When the comfortable groove becomes a rut, a change of routine is always an option. And if it doesn't work, we can always revert to the old ways. Today, many people started new novels, racing toward November 30 at the rate of about 1700 words a day. Today found me walking, exploring, enjoying the view. Ambling between a canal and a river, spying on a bald eagle, pointing out the orange and red of bittersweet to my hiking companion, savoring the flame of fall trees. Taking in the quaint shops and houses of a historic town, having a leisurely late lunch. Sun kept the clouds from being too gloomy; clouds kept the sun from glaring too hotly. Leaves crunched underfoot. For me, it was the perfect Sunday. Maybe it will fuel future writing; maybe not. And if you're one of those participating in National Novel Writing Month, have fun. Happy writing! Looking over the list of books I've read this year, I amused myself by thinking about which ones I would consider the "best" (a possible blog post). Some books were easy to pick. Others gave me pause. There were some that I admired, that were well written and/or important, that I'm glad I read, that I would advise others to read, but--I wouldn't say I enjoyed them. I don't long to reenter them, to savor their pages again. Then there are the ones I do want to reread, even though part of me knows they're a bit corny or predictable or flashy, or else they're so "quiet" or esoteric that I suspect their audience is small. It's easy to call a book "good" if it's beautifully put together and I enjoy reading it. But what of the books that only meet one of those criteria? Not every book has to be everything at once--in fact, that's impossible. And I can't reduce book ratings to a number. On a scale of one to five, where do I put the book that was rollicking fun, but fluffy and insubstantial? The sober tome that made me think deeply, but was hard to get through? The elegant, thrilling, engrossing novel that delivered on all its promises until the last chapter, where its ending disappointed me? The quirky book that broke new stylistic ground but whose characters never really grabbed me? The wonderful book with the one problematic subplot? It doesn't help that my appreciation of a book can also vary according to when I read it. This is why I rarely do "best-of" lists. So many of my stories have false starts, brief attempts at beginnings. I think I know the way in to the story, and then I find out I'm wrong. 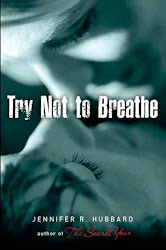 I tried to write Try Not to Breathe for years before I succeeded. I kept abandoning it and returning to it in between other projects. When I finally got the right characters and setting, I wrote in a subplot about neighbors that I eventually cut. I had gobs of plot that ended up as just brief hints of backstory. When I think back on writing that book, I think of the time I got it right, and I tend to think of it as a fairly smooth drafting process. But the files of my drafts tell a different story. "Oh, yeah," I say to myself, remembering. "That's right, I had all these scenes in the center of town, the ones I cut." Most of my other books are like that, too. They started at the wrong place or with the wrong character or at the wrong time. I hit a wall and went back and started over. It's easy to forget the trickiness of this stage: circling a story, looking for the way in. I've led writing workshops, and I enjoy it very much. But my student days are not over, either--will never be over. I'm attending a writing workshop next month in a genre where I haven't had much experience and would like more. It's been a while since I did something like this. Often, I take poetry classes when I want to stretch. It's time to stretch a little again. I never want to get stuck in a rut, or think that I know all there is to learn. I was already thinking about this when Beth Kephart blogged about it: how much I've come to appreciate beautifully written prose. Plot reigns in the world of novels, and probably it should. More than anything, readers long for something to happen. Many writers have been forgiven less-than-stellar turns of phrase for the sake of a juicy story. But I'm finding that I want more than a good story. I also want the words to cast a spell. When the writer has carefully chosen every word, the world-building becomes seamless. I'm enchanted, immersed. I trust the author to lead me anywhere. I recently read a book that boiled over with drama and conflict. It should have been more fun than it was. But poor word choices kept jolting me out of the story: cliches, repetition, telling what should have been shown. Characters did and said things that made no sense. I could see the cracks in the scenery. In The Shelf: From LEQ to LES: Adventures in Extreme Reading, Phyllis Rose criticized writing that was too poetic. Writing that was overdone, at time obscure, trying too hard to impress. She praised clear, concise writing. And I know what she's talking about. I don't want poetic gymnastics that go nowhere. I don't want a writer to show off, leaving in all her "darlings" at the expense of the story. But more and more, I appreciate the writer who presents me with a dream-world so tightly woven that I can inhabit it fully, with all five senses. I search for the skilled, the exacting, the vivid, the original, the lush. I spent the weekend in the region in which I grew up: New England. We didn't bring a camera, but if you want a taste of what it was like, I recommend the pictures on Lizziebelle's blog. I go back to my old home state from time to time, but rarely in October. This weekend was perfect timing for the turning leaves. I'm normally not a fan of fall, but the bright foliage is one of its compensations. The leaves turn where I live now, but not quite as brilliantly as they do in New England. Flame-colored foliage is part of my mental image for how fall is "supposed" to look, bound up in my earliest memories. It's a reminder that in writing, setting and characterization may overlap. The setting is not just backdrop: it sets up characters' expectations as well as their environmental expectations and limitations. Do your characters have to conserve water as a matter of course? Or are they always at risk of flood? Have they experienced snow? Do they have to watch out for bears, lions, scorpions, cobras? What animals, if any, do they encounter? Can they swim, ski, snowmobile, climb mountains? Do they spend more time indoors or outdoors? Do they ever see the stars; could they identify constellations? Do they encounter wildfires, tornadoes, monsoons? What threats and pleasures do their surroundings bring? What other regions have they visited, if any? Do they know how other people live, too? Last night, I had the privilege of attending a reading, interview (conducted by Marciarose Shestack), and Q&A for Beth Kephart's new nonfiction collection, Love: A Philadelphia Affair. Paging through the book before the event started, I noticed that one of the essays was about Hawk Mountain, which I just blogged about myself the other day. (The book covers the Philadelphia region--the Delaware Valley--rather than being limited by the city limits.) During the event, Beth talked about walking through Philadelphia--and walking and walking. Walking from University City to the Delaware River when a college student, which I used to do myself. (We attended different, but nearby, schools: she the University of Pennsylvania and I the University of the Sciences. I used to walk over to Penn sometimes and read in the grass, because their campus had bigger and more beautiful grounds. Also, for some reason, it had a large sculpture of a broken button, but that was just a bonus.) Yes, Philadelphia is a great walking city--I am with Beth on this. In fact, it came out during the discussion that Beth was even walking through Philadelphia during last Friday's nasty, wind-whipped rain. Which made me laugh, because I was also walking through Philadelphia during last Friday's nasty, wind-whipped rain. A man in the audience noted that Beth is a keen observer, and loves much of what she observes. She loves the Philadelphia area, which is and has always been "home" to her. Wouldn't she love any other city if it had been her home, he asked? Couldn't this tendency to love fasten itself around another place? Probably, she said. But the Philadelphia region is her home. And so we have this book. Which is full of places I have been, and places I have heard of, and places I want to go. Philadelphia is my adopted home. I came here at the age of seventeen and, except for six months in Atlanta, I never really left. New England, where I spent the earlier years of my life, is home in a different way. But I've lived in the Philadelphia area far longer now--more than a decade within the city limits, more than a decade in the suburban fringes. I know the routes of trains and buses and trolleys. I know the Delaware River and the Schuylkill River and the wetlands in the wildlife refuge near the airport. I know the refineries in the south, and the art museum steps that Sylvester Stallone so famously mounted in 1976. I know the big parks with their nature trails, and the tiny little parks tucked in between historic buildings. I know cobblestones and trolley tracks and brick sidewalks. I know the old jury-duty room in City Hall, and the view from the top of the City Hall tower. I remember visiting the Liberty Bell at night, in its old glass box. I know the thrift stores and the bookstores, and I remember the ones that aren't here anymore. I was in West Philadelphia the night the MOVE house was bombed, and I remember hearing the sirens. And there is more, still more, much more, always more. Sometimes a place just grabs you. Beth Kephart loves Philadelphia the way other writers have loved New York City, and Maine, and Chicago, and the Mississippi Delta, and San Francisco, and Paris, and Provence, and Alaska, and New Orleans, and Virginia, and Boston. Beth invites the reader to love Philadelphia, too. Or at least, get to know it. "... I began to understand that for me 'waste' had not come from idleness, but perhaps from pushing myself too hard, from not being idle enough, from listening to the demon who says 'make haste.' I had allowed the wrong kind of pressure to build up, that kind which brings frustration in its wake. I was helped by Louise Bogan's phrase 'Let life do it.'" "What had looked for a while like a full stop was proving to be just the opposite, a chance for renewal, not so much through new life as through having the time and the chance to absorb what I already had in my pouch, so to speak." These quotations from May Sarton's Plant Dreaming Deep speak to the value of sometimes stepping back instead of pushing forward, listening instead of talking, tuning in to a greater flow of energy. Ripening, refilling the well. Allowing the winter that precedes the spring. In an introduction to salsa and bachata dance that I happened to catch this week, dancer and instructor Darlin Garcia emphasized the importance of basics. He said that as he advanced through the levels of studying dance, he always went back to the basics before each new level. It's important to build on a solid foundation, he said. The same thing applies to writing. Most of what I have done in the past year, and especially the past few months, is going back to basics. The long twisting path of writing and publishing can lead us all over the map. That's good in some ways--adventures, new views--but it's also possible to get lost. I like to return to home base every so often. Some of my back-to-basics questions are: What do I need to write? How do I tell a story? What's important to me? Where is this character's voice? Where do I want to go next? Much of it is about getting quiet and listening, and waiting for the well to refill. I'm reading, and enjoying, Phyllis Rose's The Shelf: Adventures in Extreme Reading. I may discuss it more later, but for now I want to mention a mental tangent I went off on when she mentioned "Sigrid Undset, the Nobel Prize-winning novelist whose work my mother's generation of women revered, who is now largely unknown." And I thought: It's true. I've heard the name before, but couldn't name anything Undset has written, let alone describe her work. And this made me look up the Nobel laureates in literature, out of curiosity as to how many I would know. I've read at least one poem or story from 15 of the 107. * Which was rather more than I'd expected, since I've become aware that although I read a lot, my reading tends not to be canonical. I'm glad to see Sinclair Lewis there, although I fail to understand the enduring appeal Arrowsmith seems to have for others (which I rank far below his Main Street and Babbitt, and even Free Air). But I wonder: how many people besides me are still reading Lewis? Or Pearl Buck? John Steinbeck was a darling of the American educational system through which I passed a few decades ago; probably more of his novels appeared in our class assignments than the work of any other author but Shakespeare. (I discovered and read East of Eden on my own, which is probably still my favorite of his works.) Are teachers still as enamored of The Red Pony, Cannery Row, The Pearl, Of Mice and Men, Travels with Charley, and The Grapes of Wrath as they once were? Are people still reading Rudyard Kipling? Or even Ernest Hemingway and William Faulkner? These are authors people talk about so familiarly that it's easy to think we've read them, whether we have or not. Some of us read them in school back in the day. But are people reading them now with fresh enthusiasm, or are they on the wane? Should we read the literary giants of the past, or should we move on? Styles change, culture changes, themes change. Should we focus only on the present and the future? Is letting go of yesterday's art just part of the natural process? As you can see, I have more questions than answers. But sometimes I like raising questions to think about. *If you're interested: Doris Lessing, Toni Morrison, John Steinbeck, Rudyard Kipling, Ernest Hemingway, William Golding, Albert Camus, Pearl Buck, Sinclair Lewis, Kenzaburo Oe, Alice Munro, Isaac Bashevis Singer, Pablo Neruda, William Faulkner, and W. B. Yeats. "Solitude itself is a way of waiting for the inaudible and the invisible to make itself felt." I find that the waiting and listening I do in solitude has a different quality than that I do while surrounded by other people. And so I have been thinking about this line, ever since I reread it this morning. In other news, I blogged about what it's like to get an editorial letter from a good editor, over at YA Outside the Lines. And for dessert, have a hummingbird webcam (birds only visible when it's daylight in Texas; if the camera's down, you can watch the pre-recorded videos that are posted on the page). A while ago, I wrote about decluttering, clearing out my space, letting go. I accepted that it would be a long process, and it's still ongoing. But I thought I would check in about what has happened with the spaces I've already cleared. I relied to a great extent, although not completely, on Marie Kondo's The Life-Changing Magic of Tidying Up. I did not follow her recommendation to do my whole house in a short period of time. For one thing, I share my house with another person who is not invested in this process. For another, I did not have that big a chunk of uninterrupted time. I started with the bedroom (or really, my half of the bedroom), then moved on to the linen closet, the bathroom, the kitchen junk drawer, the bookshelves, and finally my writing office. My writing office is the room where most of my stuff is, especially papers. I have been going through these papers a little at a time. I've made progress. But I still have a long way to go. Interestingly, the areas I cleaned up first have, for the most part, stayed neat and clean. The linen closet looks just as it did when I first reorganized it months ago. My side of the bedroom has stayed neat, and so has my bedroom closet. The kitchen junk drawer is still organized. I do love the restful feeling I get from clean, uncluttered spaces. Marie Kondo swears that with her method, there is no backsliding--once you apply her method, your space stays organized. So far, it's working for me. For me, her best tips were: winnow down your possessions first, keep only what you love, and organize them so that you can see your entire collection of any given item at a glance. (For example, fold socks in a drawer so that you can see them all when you open the drawer, without having to paw through them.) While I don't fold my clothes exactly the way she recommends, I have found a way to fold them so that I see them all at once. Which really does help me realize that, for example, I don't need new socks. I used to think I did, because the same two holey pairs were always at the top of the drawer, but now I can see all the pairs that used to sink to the bottom. Seeing everything I have has also prompted me to use things that were formerly hidden away in closets: I hung up a few pictures and posters that had been stashed away before. One thing that helped a lot was using all the little boxes and plastic trays I had previously been saving without being sure why. I cut the tops off of them and used them inside drawers to organize the contents. This worked miracles in the kitchen junk drawer: batteries in one box, pens in another, rolls of tape in another, etc. Now we can always find the scissors right away in that drawer. One thing I wish I'd done when organizing the medicine cabinet was to leave some space for new medicines. When new medications are prescribed, I have to rearrange and fit them in. If I'd left space in the beginning, this would be simpler. Books are still hard for me to let go of, and although I've cleared off some shelf space, I still have piles (the to-read pile, the to-donate pile, the currently-reading pile, the finished-reading-but-needs-to-be-shelved pile). That's OK. Marie Kondo urges us to aim for perfection, but so far improvement has been good enough for me. In the early days of my day job, an older coworker told me: "Whenever you see a group study a situation and make recommendations, one of those recommendations will always be, 'We need better communication.'" It has amused me over the years to see just how often this happens. But I thought of it again, in a deadly serious context, as I read Sheri Fink's Five Days at Memorial, an account of Hurricane Katrina's effect on a Louisiana hospital. Throughout the tragedy, there were miscommunications, conflicting and contradictory information, and confusion about what decisions had been made, when, and by whom. It can perhaps be best summed up by this quote from the book: "... since the storm, government agencies, private organizations, and journalists had churned out reports that analyzed and found fault with actions and inaction at nearly every level of every system." What is clear is that after the power and running water and infrastructure failed--even with the continued presence of food, bottled water, pharmaceuticals, and ongoing rescues by boat and helicopter--it did not take long for the hospital to become its own world, a world that felt divorced from normal life. As Fink writes about one doctor's feelings during the emergency: "She was no longer able to envision what would happen when life returned to normal; many people seemed to be wondering whether that would ever happen. Having an end would give them a reference point for their options. Yes, she had heard they would all get out that day, but she couldn't see it, couldn't believe it, wasn't convinced ..." It took less than a week for the hospital to go from "normal" to this beyond-normal state. Those lines reminded me of the way I have felt during multiple-day emergencies (e.g., hurricane, ice storm) when power was lost and roads were impassable. It only takes a few days for "normal" to feel long lost, almost unimaginable. And I have never been in a situation of the magnitude of Katrina. Katrina was horrific enough to watch from the safe distance of my living-room TV. The book raises many ethical questions about the treatment of the ill and injured during such emergencies, including: Who should be evacuated first, the most critically ill or the most ambulatory? If medical resources are limited, how should they be rationed? Do different ethical standards apply during emergencies? Should euthanasia ever be on the table? Who has the right to make such decisions? It's an utterly gripping and haunting read. Today was a day for Hawk Mountain Sanctuary, which is, as its website says, "One of the best places in northeastern North America to view the annual autumn hawk migration." Apparently the configuration of this Pennsylvania ridge, and its wind patterns, funnels the migrating raptors into a relatively narrow area. Every fall, people gather on the rocky overlooks to enjoy the stunning scenery, watch, and count the birds. My husband and I only did concentrated bird watching for about 15 minutes, as we also had plans to hike the sanctuary's challenging trails, but we saw dozens of raptors: circling, wheeling, passing over the ridge. (We also saw a monarch buttefly flutter by.) The sanctuary's official count for today was 1589 migrating birds observed, including 1532 broad-winged hawks. In Pennsylvania, it's not uncommon to see hawks. But today I had a special thrill over each one I saw, because in this place and at this time, each was part of something bigger: this migration, this mass flight. It has been happening since long before I was born and will, I hope, continue long after I'm gone. It's one of the patterns we find on this planet, a milestone in the turning of the year and in the lives of the creatures around us. This morning, my husband and I took to the woods. It was a perfect hiking day: cool, dry, with a hint of breeze. The leaves are just starting to turn, a few bright accents of scarlet and yellow among the greenery. It refreshed me, the way it always does. I've noticed that my fictional characters often run to nature when they need to regroup: Colt in The Secret Year heads for the river; Ryan in Try Not to Breathe explores the woods and the waterfall around his home; Maggie in Until It Hurts to Stop climbs mountains. This echoes my own fondness for the natural world, and my regular forays into it. My characters' experiences reflect my own childhood seeking out any scrap of woods, any "unimproved" lot I could find. Those lots have become fewer and fewer, and I worry about children who don't have some tree or rock to climb, some bed of moss or sand to rest on, some trickle of water to explore. It doesn't have to be deep wilderness--mine certainly wasn't, and a child's imagination can turn a quarter-acre lot into a vast tract of frontier land. I have found pockets of nature even in the most urban neighborhoods I've lived in, in places as built up as Atlanta and Philadelphia. I do realize that not everyone finds, or needs to find, solace in the outdoors. But I only understand that in theory. In practice, it seems, all my characters seek out that very solace. I only vary the ecological niche, the environment in which they seek it out. Some parts of ourselves make it into our characters whether we consciously plan it or not. I have a note here for a blog post I wanted to write: "The stories we tell ourselves." I wonder what I meant by that? It's okay. I figure that anything really worth writing about will excite enough neurons to resurface when given the prompt. If the prompt fails to elicit anything, then that little spark that seemed so brilliant in the moment must've flamed out pretty quickly. At least once a week, I get a story idea that seizes me, convinces me of its depth and brilliance. I can envision the finished story in my head, complex, juicy, powerful. Over and over, these ideas lose their luster within days. Sometimes hours. So few acorns sprout into oaks. My notebooks are full of acorns. September 17, 7 PM. Author panel and Q&A: "So You Want to Write a Book!" Gloucester County Library, Mullica Hill Branch, 389 Wolfert Station Road Mullica Hill, NJ 08062. Appearing with members of the New Jersey Authors Network. Sometimes it seems that the biggest lesson in writing, and the one I have to keep learning over and over, is not to pull my punches. And I keep seeing reminders everywhere: in tennis players who run all out and lunge at the ball; in singers who seem to draw their voices up from their toes; in dancers who pour fire into their performances. I want to write that way. But the more you invest in a work, the more vulnerable you are. It runs counter to our instincts--or to mine, anyway--to drop self-protectiveness, to take risks. It's like sending up a balloon and hoping nobody sticks a pin in it. It also takes tremendous energy--physical, mental, emotional--to give 100% at the writing desk. Many things about writing become easier with time and practice. This part doesn't. In fact, I think it gets more difficult. In Hold Still, Sally Mann writes, "And then, as often happens to me, the self-doubt that had dammed up so much behind its seemingly impermeable wall allowed the first trickles of hope and optimism to seep out, and through the widening crack possibility flooded forth. Insecurity, for an artist, can ultimately be a gift, albeit an excruciating one." I've read that last sentence many times, turning it over and over. Whenever insecurity appears in my writing life, it generally cuts into my productivity and the quality of my writing, so I wouldn't call it a gift. But is there a post-insecurity rebound, a feast to follow the famine, as Mann describes? Writers can turn almost anything into fodder for work, even insecurity, so there's that. Does self-doubt serve other purposes--not just by keeping us humble, but by prodding us to certain questions and self-examination that we might otherwise skip? As you can probably tell, I'm thinking a lot about this. "It didn't take long for me to learn one of the most basic requirements to become a successful book writer. One has to have the stomach to take the roller-coaster lurches from failure to success and back to failure." It's always disorienting to come back from time spent in nature, away from the internet and most media. Most of the time, I had no shelter other than a tent. I've barely heard a commercial in 10 days. I have no idea what is going on in the world. Getting ready to go away is always such a pain that, while I'm packing and making dozens of arrangements, I question whether it's worth it, but I trust that it is. During and after the fact, I can confirm that yes, it absolutely is worth it. I really need that time to hike, to get away from electronics, to simplify. Every afternoon, after the day's hike and before dinner, I would lie in my tent and stare out at the sunlit trees, feeling the afternoon breeze. I had nowhere to be and nothing I had to do right then. Those moments alone would have been worth it, even if I hadn't also had beautiful scenery while hiking, good companions, and brilliant stars at night. I always want to hold on to the vacation experience when I return to my "real life." Sometimes I think the vacation part is my real life, and my working life is too cluttered up. I'll keep trying to figure it out. Slow reentry. Authors have to provide bios for a variety of features: some long, some short, some serious, some funny, etc. I've written dozens of different versions of mine. I've been reading the back issues of magazines I have lying around the house. In issue 61 of The Mindfulness Bell, I find this line in the author bio of Brother Chan Phap Nguyen: "He enjoys drinking tea and lying on a hammock." This is one of my favorite bio lines ever, especially since it follows an otherwise serious and straightforward recitation of biographical facts. I've certainly read more overtly hilarious bios, but I just like the gentle simplicity of it. Especially since bios often devolve into a long list of awards and accomplishments. Another bio line I'm partial to is this one from Jon Gibbs: "When he's not chasing around after his three children, he can usually be found hunched over the computer in his basement office. One day he hopes to figure out how to switch it on." My first book was published five years ago, and I got to know many authors whose first books also came out that year. I belonged to four debut groups (two that focused on 2009 releases because my book was originally supposed to debut in 2009, and two for 2010 releases), and I've followed the careers of many of those authors with interest. What I've seen is a variety of paths since then. Many of those authors have published again under their own names: some traditionally, some independently, some both. Some have published under pseudonyms. Some have switched genres; some have tried work for hire. Many have taken breaks from writing, and returned to it. There have been changes in agents, editors, publishers. Some of those authors have had bestselling books; others have vanished from my radar. Most of us hoped, when we were starting out, that we would beat the odds and become the major bestselling authors, the household names. We knew most of us wouldn't, but that any of us could. Failing that, we hoped to do well enough that we could keep on publishing what we wanted to write. After my debut novel came out, Borders closed, ebook sales increased, and self-publishing became easier. Social media platforms have mushroomed. My first agent left the business. My first editor left my publisher. I've received negative reviews and starred reviews. I've had a book translated into German. Like many other authors, I have now self-published a book (Loner in the Garret: A Writer's Companion). My first book is out of print, except for the ebook version. My second book didn't sell as well as my first initially, but does better than the others nowadays. Most of this stuff, I didn't predict and couldn't have seen coming. The funny thing is that publishing is a very slow business--it can take a long time to write a book, and even longer to see it through the publishing process--and yet so much has changed in just five years. I wonder what the next five years will bring? There's nothing like thinking that a manuscript just needs one more light pass, and realizing it needs a slow, heavy pass. One that digs into the emotions in each scene, amps up the details, reminds us that we have five senses. One that raises important questions in each scene, heightens the tension, and strengthens the voice. Beth Kephart blogged about the pressure of young writers' competitions, referring in turn to an article in the Atlantic, "Behind the Scenes of Teenage Writing Competitions." I read these with interest. One reason is that when I was a young writer myself, I earned a prize in the Scholastic Writing Awards, which are discussed in the Atlantic piece. But I had to laugh, reading these lines from the article: "Writers are invited to collect their awards at a special ceremony at Carnegie Hall in early June, and certain submissions, such as senior portfolios, can each win as much as $10,000 in scholarship cash. Either way, medals can translate into invitations to attend choice summer camps and colleges." I did not go to Carnegie Hall, and I did not receive anywhere near $10K. I did not receive any invitations to summer camps and colleges, let alone "choice" ones. I received a sum of money in the low two figures. Now, my prize was a fourth place, and this also happened way back in Olden Times. Back in the era that the Atlantic describes as, "Previously, just a select few, often identified by AP English teachers, would enter these competitions, as would a handful of secret bedroom scribblers." Obviously, the whole competition scene has mushroomed since then, just as the SATs and college admissions and everything else about being a teen that was high pressure before seems to have become Out-of-Control-Major-Deal-Pressure in the years since. And so I know where Beth Kephart is coming from when she says, "Let the young be themselves. Their breakthroughs will have more meaning." I agree that there is a danger to people entering the arena of competition during the time when they need to be studying, practicing, and exploring their craft. There is a risk of stunting one's artistic growth, of chasing the ends at the expense of the means, of pushing work that is too raw into the public eye, of pushing one's self into the glare of public critique when one is still learning to trust the inner self over external judgments. I feel the same way about publishing. It has become so easy--in the practical, technical sense, that is--to self-publish, that at many book festivals now I usually see a table or two with an author who is still a minor selling his or her own books. Whenever I see that, part of me cheers for the young writer, admires the guts it takes to finish and publish and promote a book. Part of me loves to see any person chase a dream at any age. But part of me wants to fold a protective cloak around the young author and say, "Maybe wait? 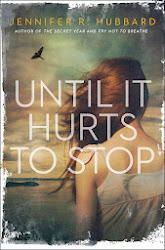 Publishing can be so brutal, and writing takes such patience to master." There's no single answer. The award I won while I was still in high school, the story that a magazine published when I was seventeen, gave me huge confidence boosts that I really needed. There was no internet then; I could not find other writers online. I could not find them anywhere. I knew nobody else who was serious about writing, knew nobody else who was published. My early successes gave me hope that my impossible dream of being an author was possible after all, just maybe. But those early successes were rare glints in a dismal heap of rejection slips. And as good as I thought my work was then, most of it deserved to be rejected. I'm now glad that most of it was never published. I'm very glad I didn't publish a book at a time in my life when a negative review would have crushed me. (My early publications were short stories, which hardly ever get reviewed.) I'm especially glad that stories that now make me cringe didn't make it into the Library of Congress. There are writers who can handle publication and the big-time spotlight at a young age. There are writers whose work is mature while they are still in their teens. I have met some of them. They are so much better-adjusted than I ever was. I can't say that teens shouldn't grab for that brass ring; it's really an individual decision. But it's just something to think about, something to consider: the chance at the brass ring comes with all sorts of costs, many of them not immediately apparent. When I'm close to finishing a draft of a book, it's so tempting to go ahead and call it done. Not to rewrite that one scene that's nagging at me (and which, if rewritten, will have a cascading effect on twenty other scenes). Not to question the plot element that works on the surface but somehow sets off my doubt alarm each time. Not to go back for another pass. But if I'm not even fooling myself, it's highly doubtful that I'll fool anyone else. Patience, I tell myself. You can make it so much better. You'll be glad you did. "I feel as if I'm making room for newness, because I can't fit anything new in my life if all the space is still stuffed full of the past." One thing I have sought in simplifying my life is more room for stillness--stillness meaning "quiet" and also "rest," the rest from being in constant motion. Sitting and listening. Reading, but also taking breaks from reading just to look around, to listen. Right now the trees are shading our lawn, but the sun makes the upper layers of the leaves and pine needles glow. The birds are conversing with their own twitters and cheeps. A few insects fly about. There is no wind. The sun hits the prism in my window and paints rainbows on the walls. The scent of pine needles wafts in through the open windows. In the background, a commuter train goes by, and a child across the street fusses. Now a breeze ruffles the leaves on a tree branch outside the window. Car doors slam; the child has stopped crying. Rectangles of sunlight lie on the floor. "It's amazing how persistent the feeling of not-enoughness can be." Amazing indeed: we see the fruits of it everywhere. In the people who puff up and become too aggressive, who overcompensate. In the people whose talent we admire like crazy, but who shrink from putting themselves out there. In the people who keep grasping without asking what they really need. In the various little voices that war inside us about whether we can do what we are trying to do. Not-enoughness keeps us seeking, keeps us striving, gives us goals. It can keep us humble. It can give us a reason to get up in the morning. But every now and then, I like to take a pause to say, Right now, in this moment, I have enough. I am enough. Last weekend I spent more hours than usual reading, especially reading outside in the warm air, enjoying the shade and birdsong and breezes. It slowed the world down, allowed me more space to think. It improved my concentration, made me happy, made me hungry to write more. Writing has its ups and downs, but reading is still, always, a pleasure. The ending. The resolution (or not) of the story. The last taste in the mouth, the take-home message, the good-bye that lingers in the ears. This has always been the toughest part of a book for me to write. The endings of all of my novels were rewritten many times--far more than the beginnings. I'm at it again, trying to figure out how to end a story. I am on at least the fourth version of the ending, and will try others. These are the things I'm balancing: what I want to happen, what should happen, what I think the readers want to happen; what feels complete but not too pat; what readers need to know; what changes should be driven by whom; whether Character A forgives Character B after all; the desire for justice vs. the knowledge that some mistakes can't be repaired; my need for symmetry; the need for this scene to be interesting but not set up a whole new range of problems. One thing I like about writing is that it stretches my perspective. I'm always trying to see every scene from every character's point of view. Even when I'm writing in first person, I'm thinking about how every other character is experiencing events. I try to do this in life as well. With writing it's easier, because I can know the whole story of my own characters, while in the real world I can never fully know another person's story. But just acknowledging that, and trying, may be worth something. The Crazy Iris, edited by Kenzaburo Oe, is subtitled and other stories of the atomic aftermath, and at first I thought it was entirely fiction. After reading it, however, I believe that at least some of the pieces are nonfiction (those where the narrator and author have the same name, and the details of the characters' experiences match the details in the author bios). In any case, most of the authors in this collection were eyewitnesses to the bombings of either Hiroshima or Nagasaki. It is a challenge for any writer to address a catastrophe on such a huge scale: not only the death and destruction of August 6 and 9, 1945, but the effects that were still playing out decades later. How does one grasp this enormity? A writer's way in is through the small, specific details. The first inkling of trouble we readers have comes in the first story, set in a town about a hundred miles from Hiroshima: the trains to Hiroshima are being stopped. "'Even the railway people don't know what's holding the trains up,' I heard the landlord tell one of his customers" (Masuji Ibuse, "The Crazy Iris"). We, the readers, know. This is our first shudder, and it comes through a commonplace experience: delayed trains. "My life was saved because I was in the bathroom" writes Tamiki Hara in "Summer Flower," another line in which the ordinary (the bathroom) carries us into the extraordinary. The writers include commonplace details (trees, a water jar, a box of onions) along with the details unique to that day (blast injuries and burns, black rain, glass still embedded in skin years later). "Nearby I could see a triangular window. The window had originally been square but it had been completely blown out, leaving only the twisted frame," writes Katsuzo Oda in "Human Ashes." Broken windows figure in many of the stories. "From the time the A-bomb was dropped on August 9, 1945, until I graduated two years later, there wasn't a single pane of glass in the school," writes Kyoko Hayashi in "The Empty Can." Most of the stories deal not with the days of the bombings, but of the years afterward, of living with the damage. In "Fireflies," Yoko Ota describes the makeshift shacks made for the survivors, "temporary" housing which they ended up occupying for years: "The slugs slithered around in droves at the base of the sliding paper doors, which did not have the customary rain shutters to protect them." Kyoko Hayashi describes a schoolgirl carrying the remains of her parents around in a can. Mitsuharu Inoue's "The House of Hands" and Hiroko Takenishi's "The Rite" discuss the trouble with miscarriages that many women had, and the stigma associated with marrying women who had been exposed to radiation. The human need to recover, to want to return to normal, to believe that everything will be all right, crops up most sharply in Ineko Sata's "The Colorless Paintings:"
"It seems I took it for granted that [my friends] had somehow been outside of the radiation area when the bomb was dropped on Nagasaki. I never realized, until it came out in a casual letter, that all this time Y had been living with this kind of anxiety." and in Hiroko Takenishi's "The Rite:"
"That time when, in the bright sunshine, I gazed on the vast multitude of the dead in all the chaos of that ruined ground, laid waste and desolate ..., with my knees knocking together out of control, the thing I kept telling myself was this: it is only a temporary phenomenon! I kept on pursuing the original appearance of that place as it had been before, and as I was sure it would be again. Maybe tomorrow I will see Junko! Maybe tomorrow I'll come across someone who knows how Kiyoko is!" One unexpected detail common to many of the stories is that the people had no idea what had happened. They all describe a flash out of nowhere, and then the world was transformed. They did not know, at first, that it was a bomb. "The air raid warning had been lifted, and shortly after that there had been a big flash of light and a soft hissing sound like magnesium burning. The next they knew everything was turned upside down. It was all like some kind of magical trick ... " (Tamiki Hara, "Summer Flower"). The power of writing is to record, remember, explore, digest, question. Many writers will identify with these lines from "Summer Flower:"
"Sitting on the narrow road by the riverbank, I felt I was all right now. What had been threatening me, what had been destined to happen, had taken place at last. I could consider myself as one who survived. I have to keep a record of this, I said to myself."